Deze factoren werken allemaal samen om de uiteindelijke waarde van een horloge te bepalen. De precisie, het vakmanschap, de arbeid en de vaardigheid die bij luxe horloges passen, onderscheidt hen van andere horloges. Rolex-horloges zijn bijvoorbeeld allemaal in elkaar gezet en het merk heeft zijn eigen gieterij die het goud maakt dat ze in hun horloges gebruiken. 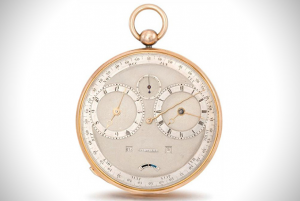 Deze stopwatch voor goud en platina werd verkocht voor slechts 5000 frank in 1814, maar werd in 2012 gekocht voor bijna $ 4,6 miljoen op een veiling. Hublot’s Big Bang horloge bevat in totaal 1282 diamanten, waaronder meer dan 100 karaat baguette diamanten en 6 emerald geslepen diamanten die elk meer dan 3 karaat wegen. Beyoncé heeft dit horloge voor Jay-Z gekocht als verjaardagscadeau in 2012. 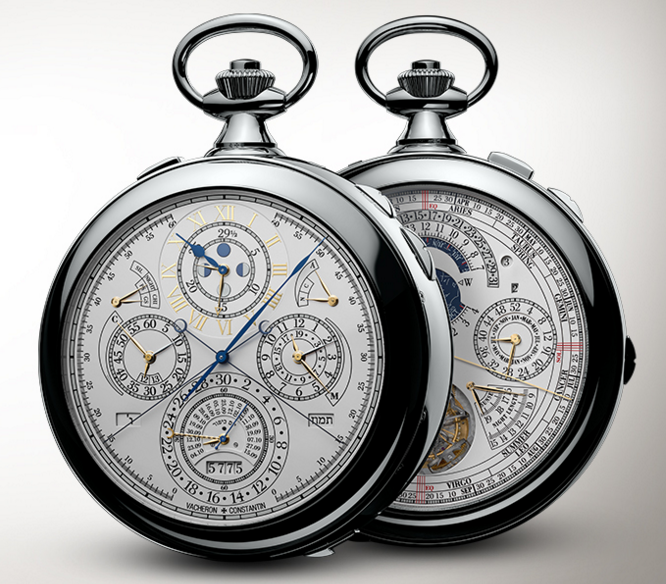 Including 57 complications, 2826 individual components, and 242 jewels, Vacheron Constantin’s 57260 watch is a technological and artistic feat. This watch took 8 years to design and create, and is estimated to have been commissioned for $8 million for a private client. In late 2016, the stainless steel-cased Patek Philippe ref. 1518 sold at auction for just over $11 million. 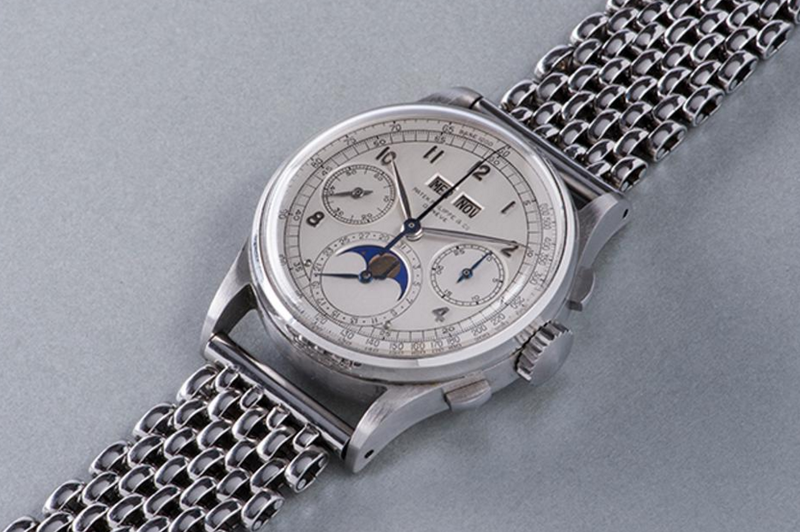 Patek Philippe produced the 1518 model in 1941, making it the first perpetual calendar chronograph wristwatch every produced in a series. The Billionaire Watch contains 260 carats of emerald-cut diamonds, 167 individual components, and 19 jewels. The bracelet and watch face are one seamless construction made in 18K white gold. 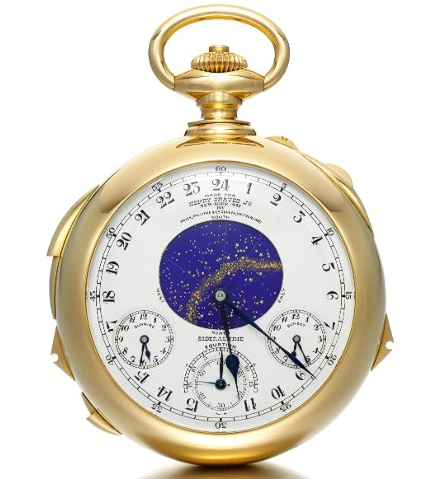 This gold pocket watch was created in 1933 by Patek Philippe for banker Henry Graves Jr. 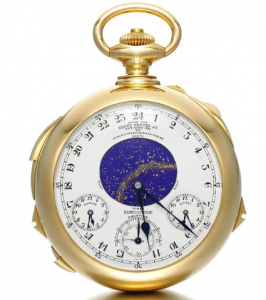 The watch took 5 years to design and build and features 24 complications, including a perpetual calendar, sunrise and sunset times, and a celestial calendar from Graves’ apartment on Fifth Avenue in New York. 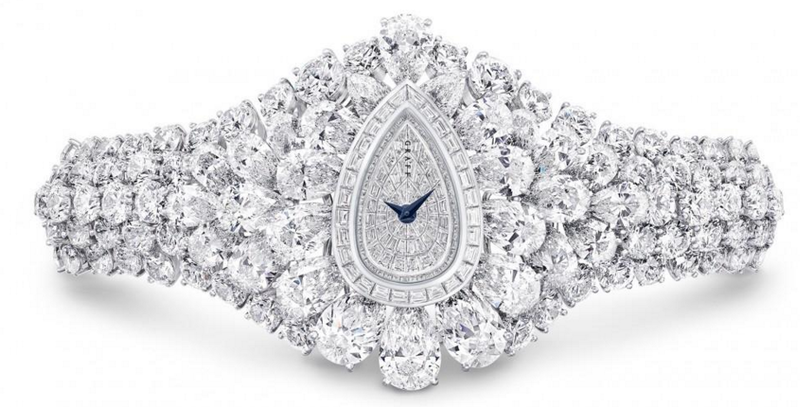 This stunning watch contains 874 diamonds, totaling 201 carats, in an array of colors. 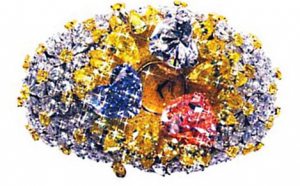 The center of the Chopard watch is comprised of three heart-shaped diamond in yellow, pink, and blue. The original version of this watch was allegedly commissioned for Marie Antoinette by one of her lovers. Abraham-Louis Breguet began working on the watch in 1782, and Marie Antoinette was exuceted before its completion in 1827 by Breguet’s son. 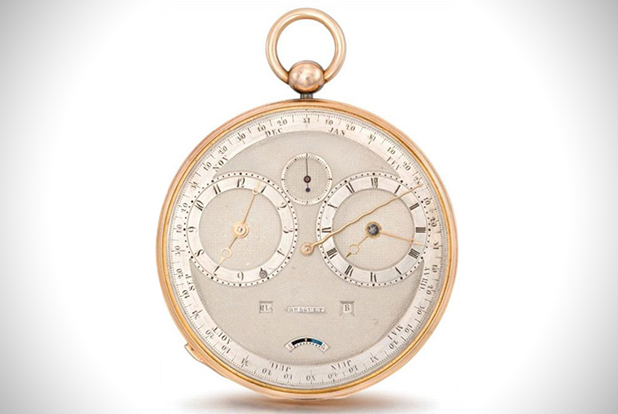 The watch included every known complication at the time, including a thermometer, chime, and perpetual calendar. 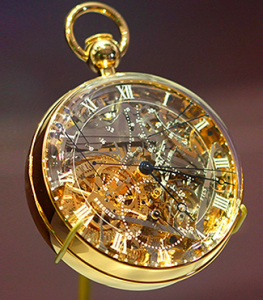 The watch was on display at the L.A. Mayer Museum in Jerusalem until it was stolen in 1983. 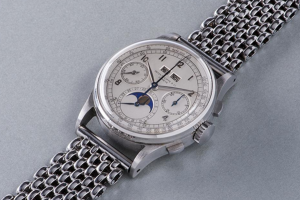 The watch was eventually recovered and is still on display at the Mayer museum today. 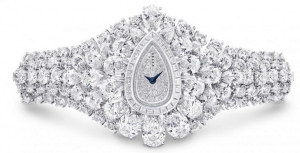 Known for their luxurious diamond jewelry items, Graff Diamonds created The Fascination watch, which contains 152.96 carats of diamond with a center diamond that is a 38.14-carat D Flawless pear shape. The center diamond detaches into a ring that can be worn separately. 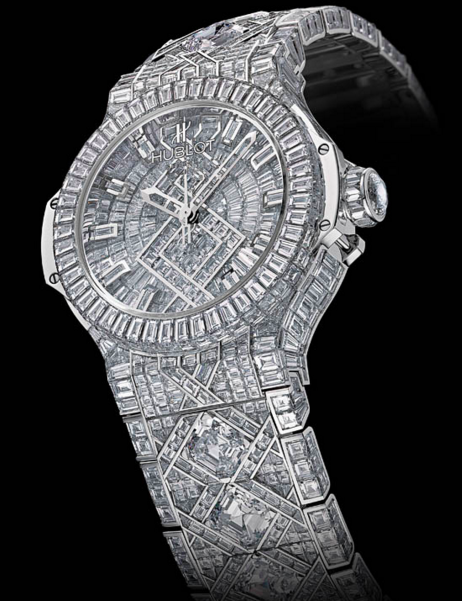 Unveiled at the Baselword watch and jewelry fair, this unprecedented watch is made up of 110 carats of diamonds. Diamonds of all colors, including Fancy Pink, Fancy Yellow, Fancy Green, and Fancy Blue, and cuts, including emerald, heart, pear, marquise, and round, are combined to create this spectacular timepiece.